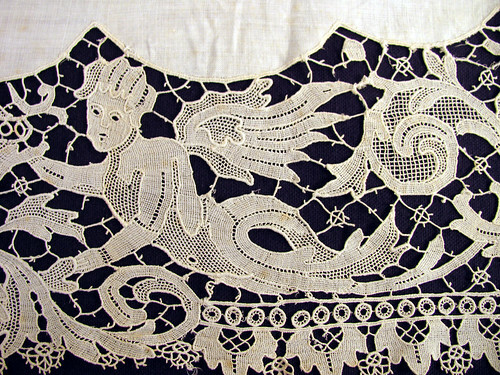 Here are 2 photos of an intricate antique lace edged runner. I love the angle motifs that run along the sides and each end. It is really old and very fragile. I need to take the time to carefully press it flat and photograph it. That way at least the designs would be preserved. I should wash it too, though I am afraid it would fall apart more than it already has. 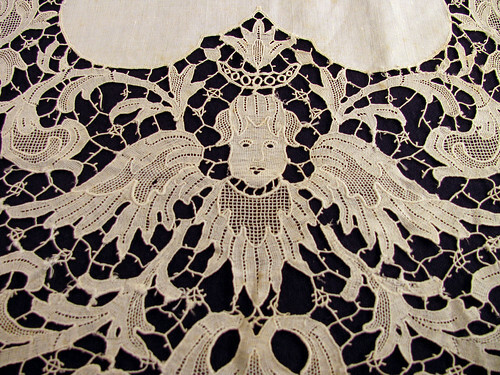 Carefully preserving all the bits of lace I have collected will be a massive project. Right now I want to make new things. This entry was posted on Wednesday, March 11th, 2009 at 3:00 am and is filed under Lace. Tagged: Lace. You can feed this entry. You can leave a response, or trackback from your own site.